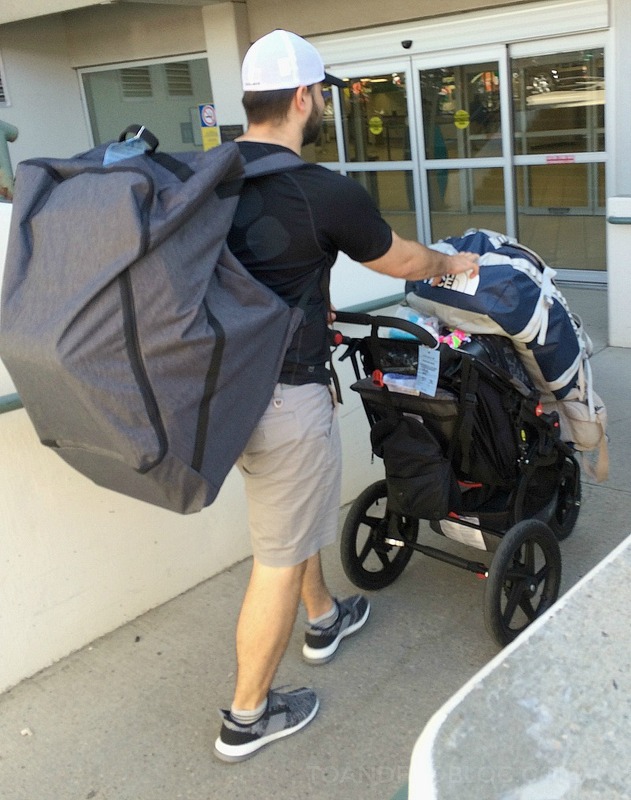 Traveling with a baby may be stressful and also intimidating. But, at the same time it is a great opportunity to create life long memories with your children. At just over 3 months old, Morley took her first plane ride. While it was a 'quick' 4 hour flight west to Edmonton, Alberta, flying with her in tow still made us a bit nervous. Having never flown with her before, we didn’t know what we were in for. We knew the trip had the potential to be a bumpy journey. It was all new. 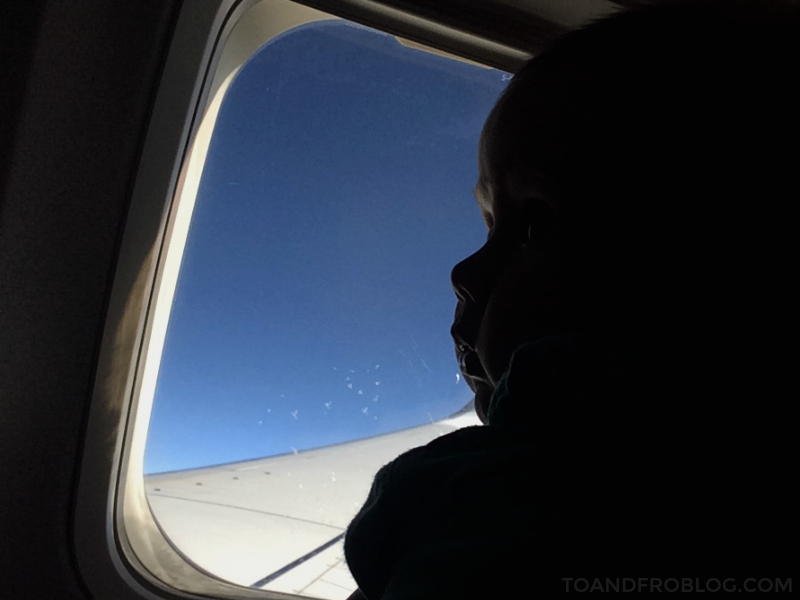 Are you traveling on an airplane with an infant? Check out these tips to help avoid turbulence along your journey. If possible, book your flight around baby’s schedule. For example, if they usually nap in the morning, then a morning flight would be ideal for you. Also be sure to play it safe when it comes to arriving at the airport, adding a bit of time onto your journey. Individual airlines have individual regulations when it comes to traveling with young children. For example, baggage allowance and gate checking strollers, car seats, etc.If you are unsure of the rules for your particular airline, be sure to call their Help Centre for clarification in advance of your trip. Make sure you have plenty of wipes, diapers, snacks and extra clothing for the flight, or in case of a delay. Choose a bag that allows you to be as hands free and comfortable as possible (such as a cross-body or backpack), with easy access to pockets. Be sure to check the FAA regulations on formula, milk, snacks (especially fruit and vegetables) before you travel. Regulations will differ depending on your destination. 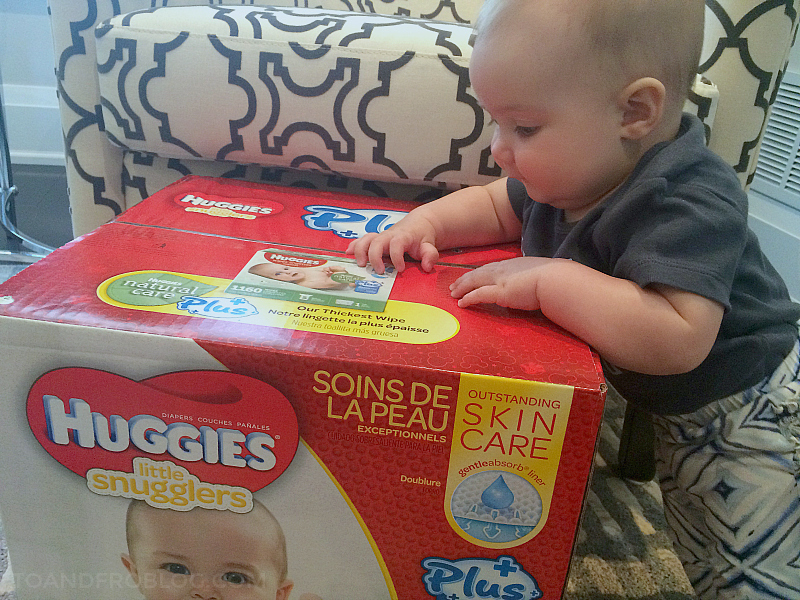 Whether we're on a flight or a trip to the grocery store, Huggies Little Snugglers Plus (only available at Costco) are never too far away. These diapers come in three sizes - newborn, 1 and 2 - and are designed to help keep baby’s skin clean and healthy, with Leak Lock® for up to 12 hour protection. Planes are often cooler, so make sure babe is either dressed in layers, or you have a light sweater handy. 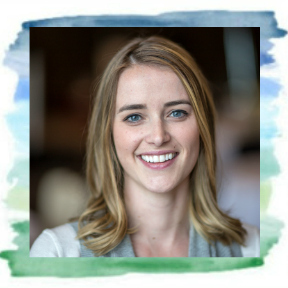 If you are breast feeding, make sure to wear a top that is feeding-friendly. A scarf or light sweater would also serve as a feeding cover and/or a pillow for your lap. 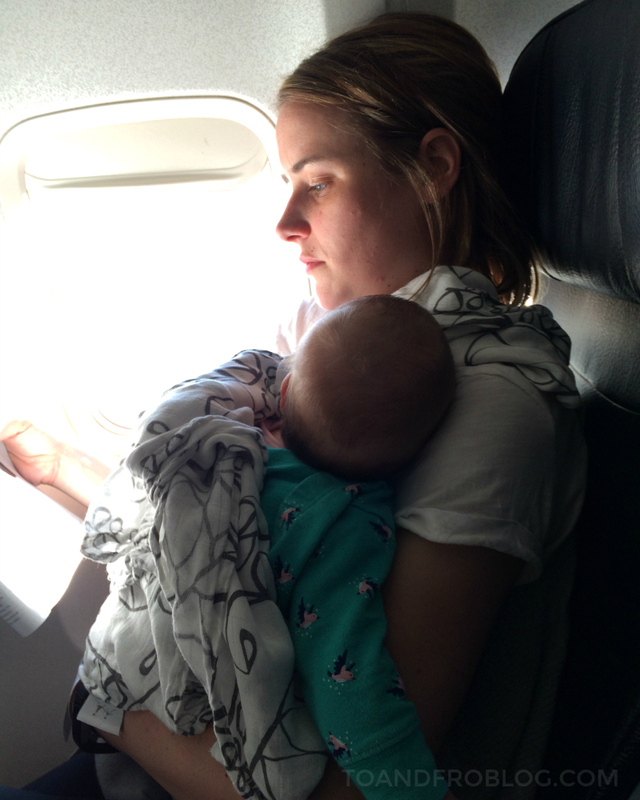 Instead of carrying baby on your hip to board and deplane, go hands free and strap them into a carrier. If they are able to be positioned front facing, they will enjoy watching everyone and everything around them. You know your baby better than anyone, so how do you think they’ll react on the plane? If they’re always on the move, keeping them settled in a seat for x amount of hours can be tricky. Bring an activity that is new to them, such as a colouring book, to help keep them engaged for longer, or pack only a few toys that you know your baby loves rather than an entire assortment. Each person reacts differently to the change in air pressure, and the same goes for infants. As a precaution, breast feed, bottle feed or have a pacifier on hand during assent and descent to help relieve any pain. 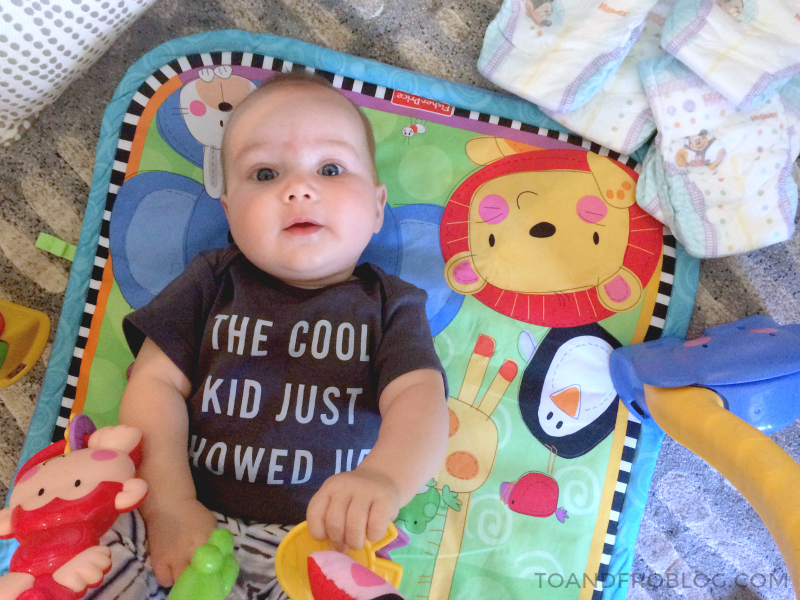 Not only are flight attendants there to help you throughout the flight, they love babies! The majority of people on a plane love seeing babies, and are very accommodating and understanding. But, there is always one or two that give the dirty looks, regardless if your child makes a peep or not. Don’t let it get to you! You’re there to have fun, don’t let anyone ruin that. 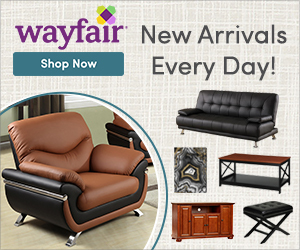 Sit back, relax and enjoy making memories with your family and sparking the travel bug within your babe. In the end, we had absolutely nothing to worry about. Morley was a flying pro, and we can’t wait to take her on more airplane adventures and share our love of travel with her as she grows. 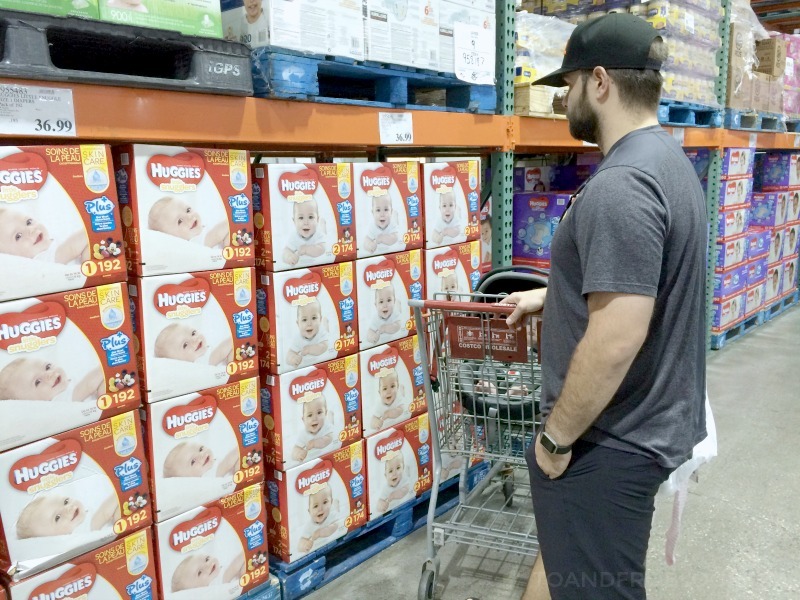 Don't forget to check out the awesome diaper savings at Costco - From 9/1 to 9/25, Huggies Little Snugglers Plus (sizes 1 & 2) are $37.49, or $31.49 after the $6 discount & Little Movers Plus (Size 3, 4, 5, & 6) are $42.99, $36.99 after $6 discount and Free shipping (this offer valid 9/1 –to 9/25), with free shipping when purchased online at Costco.com. Starting in August, Little Snugglers Plus will also be available in size Newborn starting at $29.99 in select warehouses and online. What a great value for a quality product! 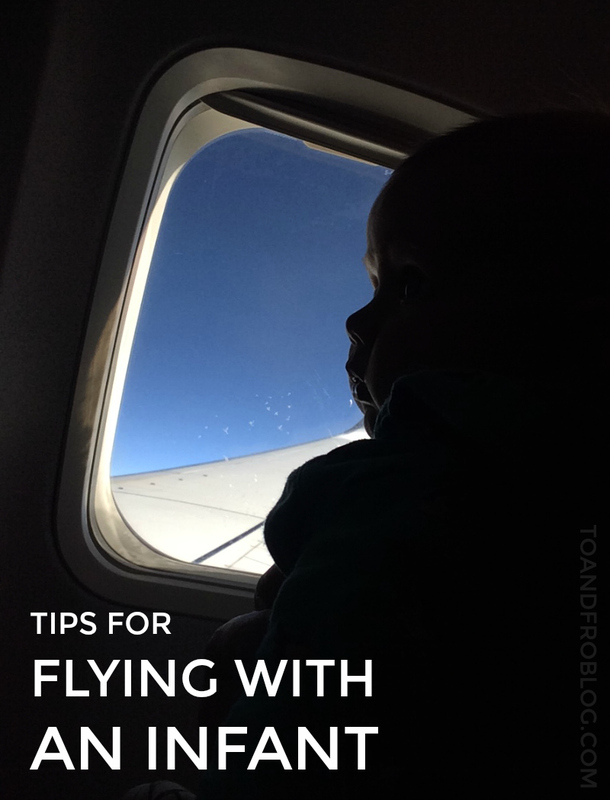 Do you have any tips for traveling with infants?